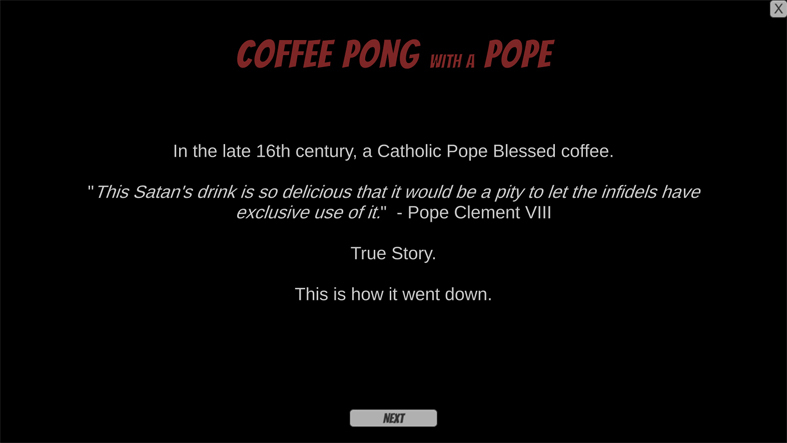 Created for the itch.io Coffee Jam by MissMyu #CoffeeJam. 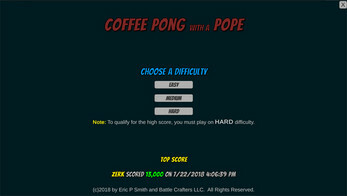 It's like beer pong but with coffee! 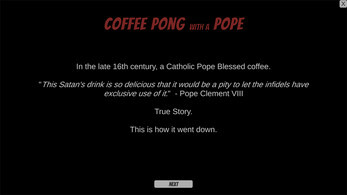 Play against Pope Clement VIII in his quest to bless coffee! 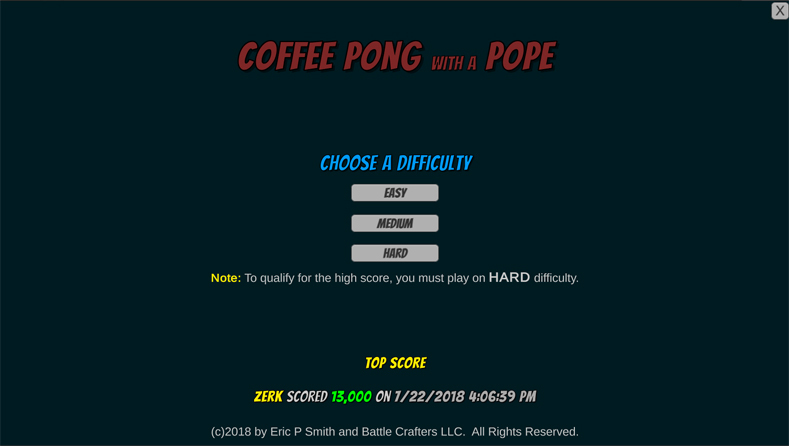 *NOTE Top score does not work in browser. All assets used are free and/or public domain and some of my own stuff.